Former Miss World Diana Hayden, 42, gave new hope to women who are in no rush to becoming mothers when she gave birth to her first child born out of her egg that she froze eight years ago. But while young Indians feel that freezing of human egg is a smart move for career-oriented women, social stigma continues to be attached to the new-age fertilisation process, say medical experts. Egg freezing is still not very popular in India, said Shobha Gupta, medical director and IVF Specialist at Mother’s Lap IVF Centre. “People in India still open their eyes wide if they hear such things, especially in joint and conservative families. On the other hand, IVF has been accepted widely in India, but egg freezing is yet to gain approval or social acceptability in India,” Gupta told. Another expert, Anubha Singh, gynecologist and IVF Expert at Shantah IVF Centre, said that “egg freezing is not a normal procedure like IVF or surrogacy, but if you are an individual and you don’t need any family member’s approval, you can definitely go for this”. The procedure, however, has caught the people’s attention here in the past two to three years. Singh said it was in 2014 when technology conglomerates Apple and Facebook announced that they will pay for the egg freezing process of their women employees. “They took the decision to attract more female employees and maintain their retention rates so that they may have prolonged careers,” said Singh. Internationally, egg freezing is a route that Hollywood celebrities like Sofia Vergara and Kim Kardashain have taken. And in India, Diana has set an example. Is the method more popular among celebrities than commoners? “Egg freezing is a costly affair and is mostly taken up by high-profile people,” Gupta said. The costs of preserving eggs is very high. In India, freezing embryos costs Rs.10,000 to Rs.15,000 per month, and the frozen embryo transfer cycle costs Rs.100,000 to Rs.200,000 per cycle. Embryo transfer is the main part of the IVF process – and it usually takes 10 to 15 days to be injected in a woman’s womb. Thus, egg freezing is mostly popular among Page 3 celebrities or among people with higher spending powers, Gupta added. “Many couples who work for IT firms, BPOs and in management backgrounds are busy with their careers and delay the baby-making process, thereby, giving them a reason to opt for freezing their sperms or eggs. Besides a prosperous career, the uncertainty of marriage and fear of infertility are two other major factors contributing to this trend (of increasing queries on egg-freezing),” she said. But before taking a decision, be aware that egg freezing isn’t a sureshot guarantee of pregnancy. “First of all, the success rate of egg freezing is not 100 percent as chances of viable pregnancies are only 30 to 35 percent. You just can’t freeze your eggs once, sit back and relax. Even if you freeze your eggs at an early age, you have to get your IVF cycle done before you turn 45-years-old. “So, limitations are always there,” Aanchal Aggarwal, IVF specialist at the BL Kapur Memorial Hospital, told. 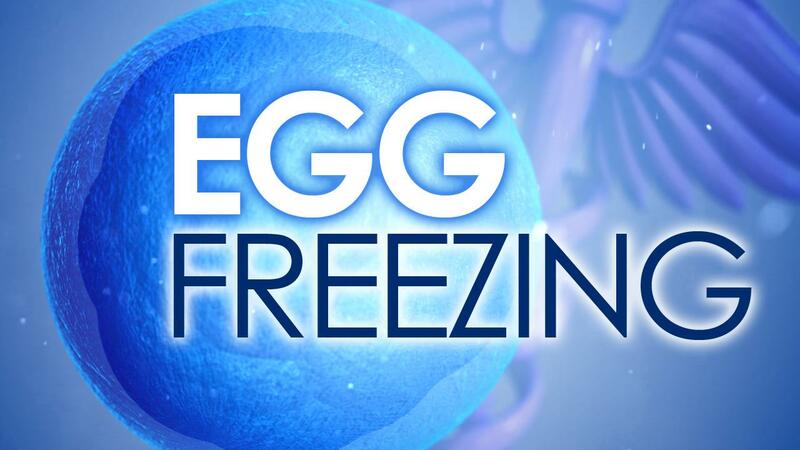 In Britain, 18,000 eggs were frozen till 2012. Of these, only 580 embryos were formed, eventually generating only 20 live births, according to an earlier report. “The cost of freezing embryos is the same as the cost of freezing eggs, but freezing embryos is more result-oriented in comparison,” Singh concluded.